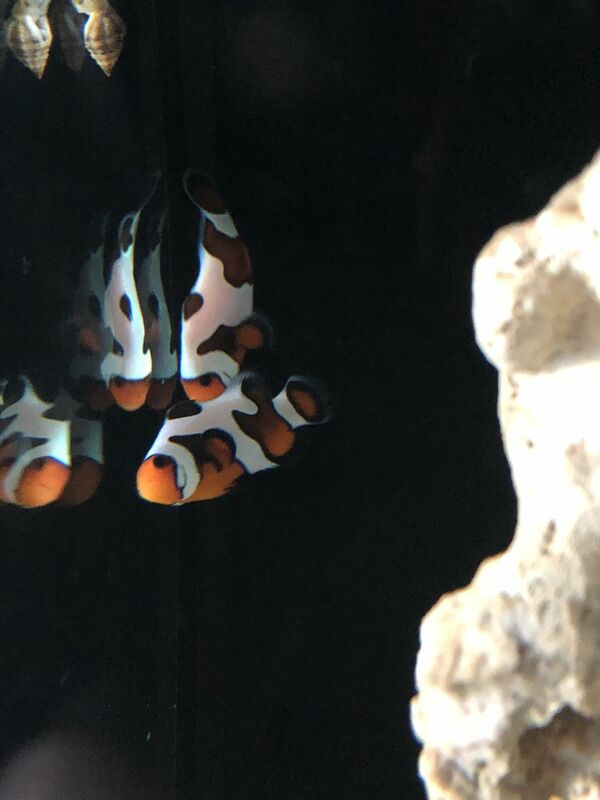 Gauging interest in my Hallucination Zoas (3 polyp, 2 babies). 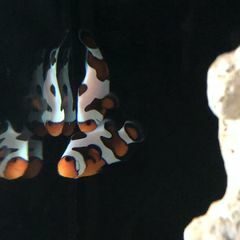 Looking to trade for/towards a homewrecker frag or a head of an Aussie gold Torch.Polyps are slightly disturbed in the pictures from me handling them. First two pictures under morning blues, third has whites on. Local pickup preferred, would consider shipping but I have limited experience. Thanks for looking! I like this idea, I would have to install a shelf above the tank but I don’t think that would be too difficult. Thanks for the idea! I’m looking to put something reef related above my tank to fill the space. Maybe some macros of coral or really anything to tie it all together. I’m after the modern look, anyone know of anything? Tank is an IM 20 so nothing huge. Dino outbreak...here's my attack plan. Opinions wanted! As others have mentioned don’t start with any additives. Use high quality salt and keep up with husbandry. 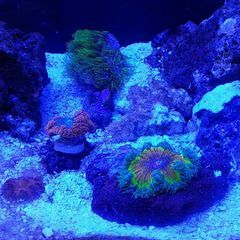 After you start adding coral, monitor your levels and then decide whether WCs can keep up with demand. I’m looking for a frag of a Golden Torch. Ideally looking for an Aussie but I would be interested in an Indo as well!